There is no substitute to learning by doing. With our project courses, not only you will learn new knowledge, but you will also have ample opportunity to improve your building techniques, learn how to use your tools. And when a bug shows its ugly face, you'll have the opportunity to troubleshoot it and fix it, yet another learning opportunity. Have you wondered what is a "cryptocurrency"? Perhaps you have heard about the Bitcoin but didn't know how to go about learning more about it? Cryptocurrencies are just one application of the Blockchain technology. The Blockchain is one of those technologies that appear once in a decade, that power applications that can revolutionize many aspects of our lives. Finance, education, law, communications, are just examples. The Bitcoin and the many other cryptocurrencies that have appeared are based on the Blockchain. These are real currencies that people around the world use to store value and buy or sell things and services. Their technology is extremely interesting because of their potential applications. And in this course, you have the opportunity to learn the how to use your Raspberry Pi to mine (a term than means to create through calculations) several cryptocurrencies. 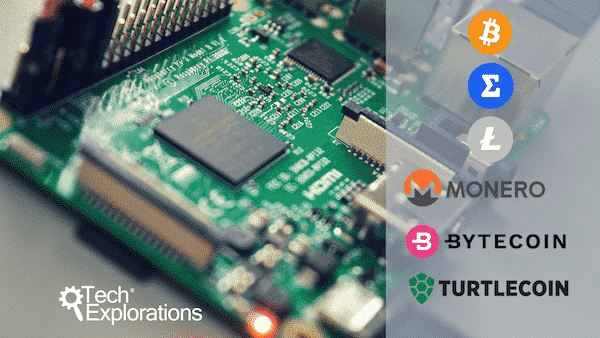 Use your Raspberry Pi to mine Bitcoin, Litecoin, Monero, ByteCoin, MagiCoin, and TurtleCoin. Your Raspberry Pi does not have the capability to mine cryptocurrencies profitably, but it can help you understand the basics of cryptography, the process of mining, how to setup a crypto-wallet (and what a crypto-wallet is), and much more. An unprofitable weekend experiment for curious minds. This course comes as an ebook or as a video course. 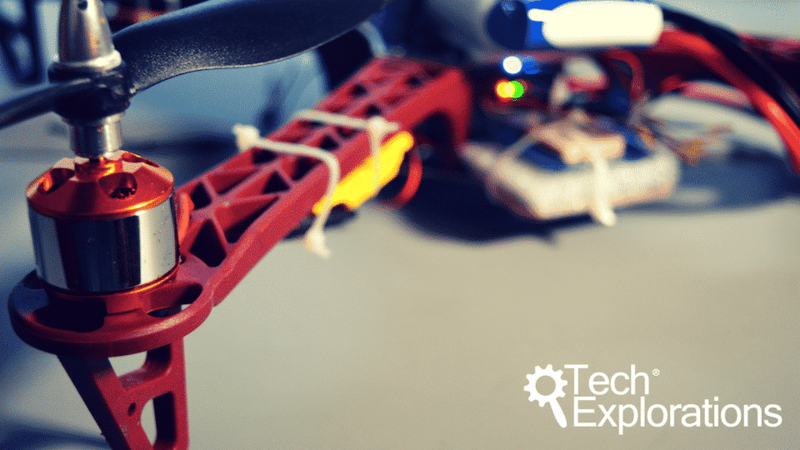 In this course you will learn how to build your own quadcopter drone, from components that you understand their function and operation. You will also use open source firmware that gives you impressive scope for functionality. You will learn about their mechanical and electronic components and how they interact. 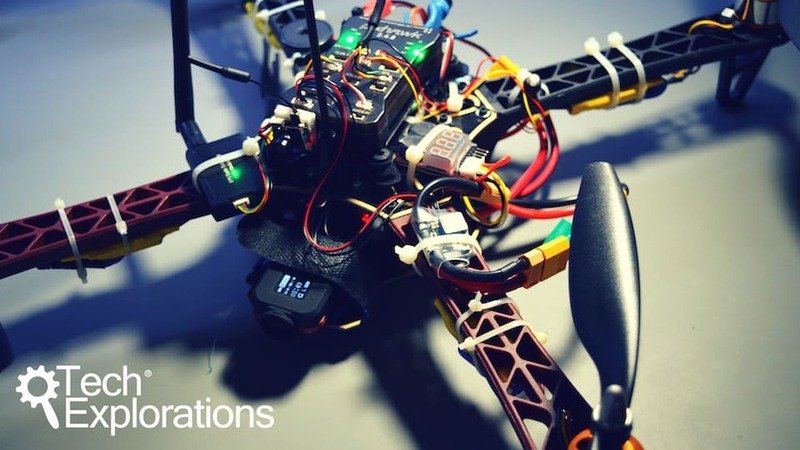 You will learn about the software that provides semi-autonomous flight capabilities to drones. In this course, you’ll take your knowledge and skill to the next level. You’ll go past the basics and explore some of the most exciting features and capabilities of your drone. Your drone, from simply reacting to your radio instructions, will look as if it has a mind of its own, and fly itself. Raspberry Pi: Full Stack, is a hands-on project designed to teach you how to build an Internet-of-Things application based on the world’s most popular embedded computer. 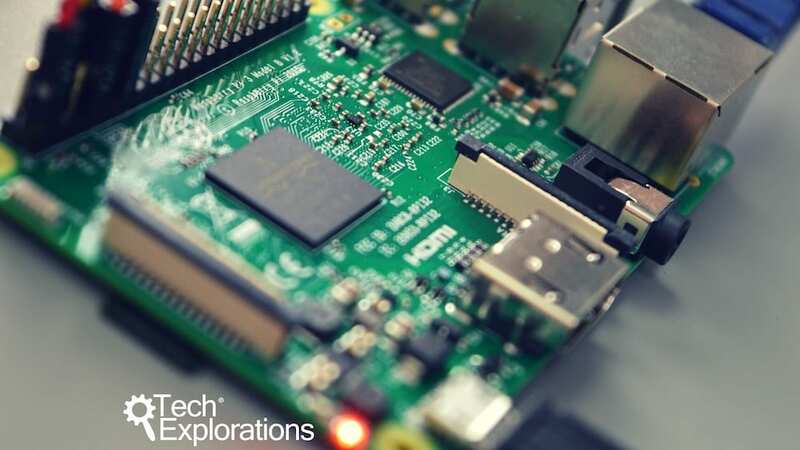 You will learn about how to setup your Raspberry Pi as a web server using a minimal version of the Raspbian operating system, and use the console only to interact with it (no graphical user interface to consume your RPi's limited resources). You'll continue to learn about how to setup Python in a container dedicated to your web application, install the necessary modules to control the GPIOs and sensors. And, you will learn to build the web application, one level of the stack at a time, using high-performance open-source software. Are you serious about conquering the Raspberry Pi? Have you wondered how you can build an application on a Raspberry Pi where you can use a graphical touch-enabled interface to control appliances, and perform other programmable tasks, like take photos and video? This Raspberry Pi project course will teach you exactly that. 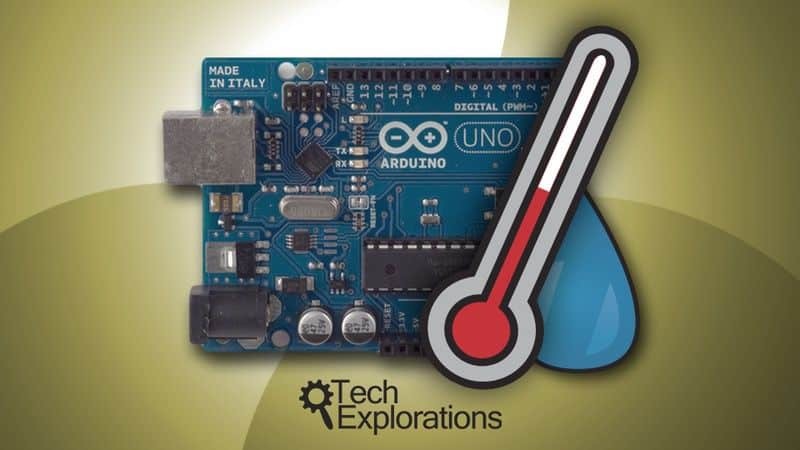 You will learn how to use a touch screen connected to your Raspberry Pi to control appliances, a camera and sensor. 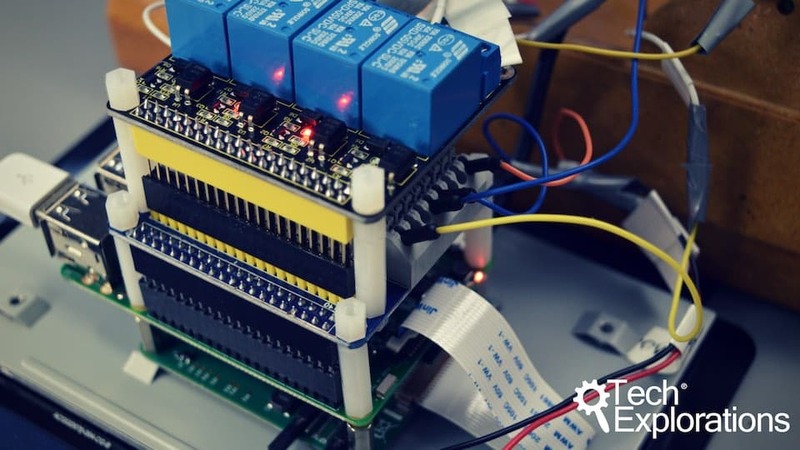 In this project, this "Bench Computer" will control appliances on Peter's workbench, but you can customise it to control anything with an on/off switch. You will also learn how to customise the software to do other tasks. You will learn how to use relays to control mains power appliances, and even how to create a relay control box. 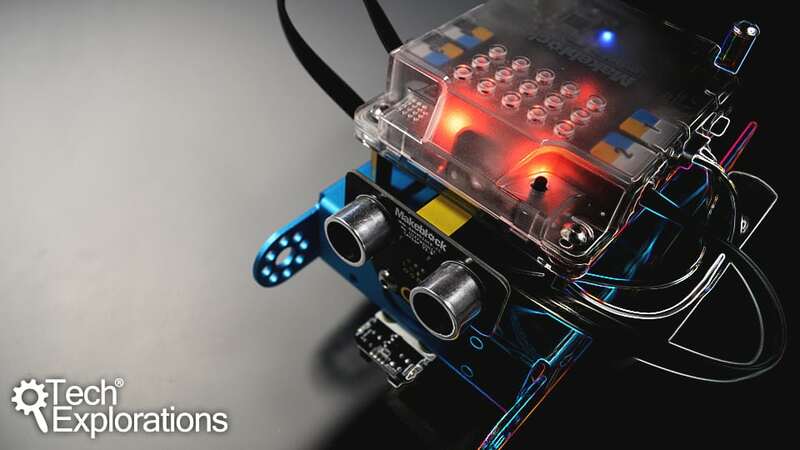 You will also learn how to create a graphical Python application and interact with it via a touch screen, how to use the Raspberry Pi camera to take photos and video, and how to integrate sensors in your designs. 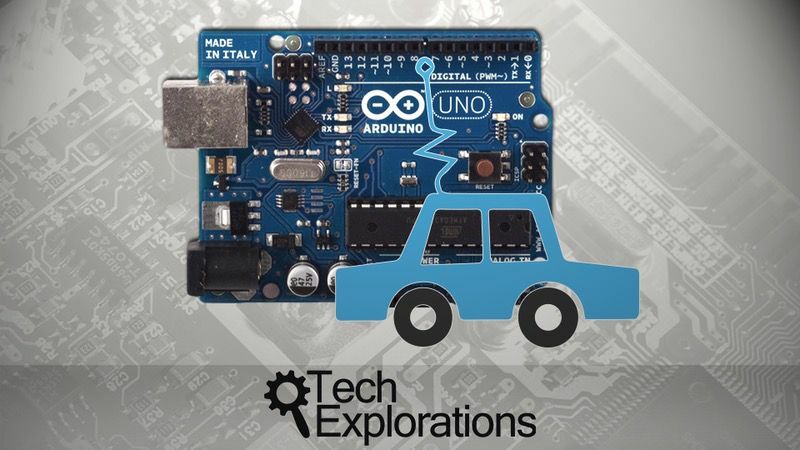 This is a challenging project for dedicated and determined makers.